If you want people to love working for you, it’s important that you keep them happy. Many studies and workplace reports show that employee happiness has a direct tie to the bottom line. Happy people are more creative, innovative and dedicated than their unhappy counterparts. And they are more likely to be loyal and responsible and to stick around for a long time. Make people feel important. When you create an environment in which people feel important, it becomes a place where they want to spend more time. When people know they matter and believe they are contributing in ways that make an impact, they want to stick around and follow the leader who makes them feel significant. Let people know they’re being heard. It sounds simple enough, but it’s something many leaders don’t bother to do. People want to know someone is listening—really listening. Being heard means that when problems are uncovered, people work together and take action to fix the issues, and it’s an important part of happiness at work. Deliver praise and appreciation often. Everyone wants to be appreciated and recognized for their efforts, but when things get frantic—as they often do—leaders too often forget the power of simple words like “thank you,” “I appreciate you,” and “I value the work you’re doing.” These simple phrases can be a game changer for how people feel about your leadership. Make work fulfilling. Everyone wants their work to have a purpose. For people to feel good about the work they’re producing, they need to believe it’s part of something meaningful. It’s your job as their leader to make sure they know what that looks like. Allow people to see the inner workings of the organization from all angles and perspectives. When you do, they feel better connected and more committed to its mission. Success by itself doesn’t breed happiness—it’s the other way around. Prioritize work-life balance. It is important that people understand you value them as a person. One powerful way to make that happen is to make work-life balance a clear priority. You may want to let people work from home on Fridays, provide discounted child or elder care, or find other incentives that improve people’s overall quality of life. Attention to work-life issues shows you care about your people—at work and away. Encourage wellness. Encouraging people in wellness and health by supporting positive steps in areas like exercise, diet and meditation will create a lot of happiness. People often work too hard and for too many hours. As a result, they don’t feel well and may become unhappy. Encouraging wellness says you care the people on your team. Engage in meaningful dialogue. It’s important to engage in meaningful conversations—not only about work but also about deeper issues and what’s going on in people’s lives. Meaningful dialogue connects people in profound ways, and more connected people are happier at work. Refrain from micromanaging. Employees who feel trusted and supported, without being hovered over, are more relaxed and confident in the work they do. When you’re tempted to micromanage, remember why you hired your team and trust them to make the right decisions without interference. Giving people the freedom to do their jobs as they think best will keep their confidence high, adding to the success of your organization. Be accessible and available. If your door is always closed and your tone says “Do not disturb,” people will feel disconnected from the person whose thoughts, opinions and guidance they most need. People want to know that their leader is invested in them. When you are accessible and available, you send a clear message that people can count on you and you’ll be there for them. Help them grow and develop. There’s no better way to show you care about your people and you’re serious about investing in them as individuals than to foster their personal and professional can growth and development. Your support and encouragement show that you believe in them, you recognize their potential and you want them to succeed as individuals. Lead from within: If you want people to love working for you, show them the love they deserve and make them happy. The post 10 Ways to Make Sure People Love Working For You appeared first on Lolly Daskal. Just as positive habits create strong leaders, bad habits can and will create weak leaders. Here are seven habits to be especially mindful of. If you’re practicing even one of them, start working immediately to replace it with a positive habit before your leadership weakens and suffers major damage. Holding to a double standard. Weak leaders are in the habit of saying one thing and doing another. They believe it’s fine to set rules for others, but they hold themselves exempt. Consistency between word and deed is a major factor in successful leadership, and part of being a leader is knowing that people are watching you at every step and taking their cues from your behavior. Lack of vision or strategy. Weak leaders have a habit of not thinking beyond the scope of today. They may deal with immediate issues and concerns, but overall they’re comfortable with the status quo. They’re the ones who say, “If it’s not broken, don’t fix it.” This shortsightedness causes others to similarly focus on tasks instead of the visioning and strategic planning that will move the organization and its mission forward. Poor communication. It’s impossible to be a strong leader with poor communication skills. If you can’t communicate, you can’t connect with others—much less provide engagement and transparency. The ability to speak, write and above all listen effectively is among the most important leadership skills. Isolation. If you hold yourself inaccessible and unavailable, sitting in your office with the door closed, you send a clear message to others that you’re unwilling to engage. The message it sends isn’t one of leadership but of privilege and insecurity. Failing to develop others. A weak leader focuses solely on getting the job done instead of using the job as a way to help their people develop new competencies and skills. It’s an ineffective leader who keeps their people playing small without investing in them, whether it’s through neglect or because they see others as a threat. Resistance to improvement. Every great business is constantly growing and evolving. Leaders who resist change and improvement are arrogant or complacent—and sometimes both. They believe things are fine as they are and aren’t interested in moving to the next level or positioning for the future. Lack of interest in inspiring others. The best leaders know how to energize people and inspire them to reach higher levels of performance and potential. Those who can’t are probably uninspired themselves, and it’s virtually impossible to build a great team with an uninspired leader. Being a strong leader requires equal amounts of self-awareness, self-management and humility. Spend some time reflecting on any bad habits that may be limiting your leadership potential and resolve to take steps now to reverse them. Lead from within: A single bad habit, left unchecked, can be enough for your leadership to weaken and fail. 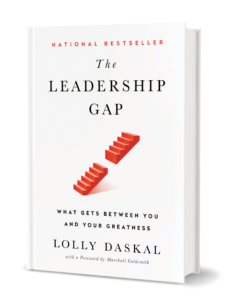 The post 7 Habits of Weak Leaders (and How Not to Be One) appeared first on Lolly Daskal. As a leader, you want to think that your team would never turn on you, but it does happen—even to the most confident and competent of leaders. Maybe drama from another part of the organization has spread, or a charismatic team member has developed a grudge against your leadership, or you’ve inherited (or unwittingly created) a bad situation. Whatever the reason, it’s both discouraging and demoralizing when you find yourself with your team in mutiny—refusing to do what you ask, or going in their own direction, or excluding you from things you need to know and decide. Acknowledge the problem. The first step can be the hardest—you have to get it out there. If you don’t address what’s happening, it will only get worse. Talk to your team as soon as possible. Be open, direct, and vulnerable. Opening up lines of honest communication is the first step in restoring your leadership. Work to understand the source. Try to get the clearest and most complete understanding possible of what caused the problem in the first place. Ask questions of your team to get to the root of the issue. Even if it’s uncomfortable, you want to find the source of the breakdown. Encourage people to express themselves. Allow people to air their grievances and let them speak their mind. With respect and without judgment, open up a space for expression. Tell people to come to you if they have a problem with you, then demonstrate your willingness to listen and deal with the issues. This foundation will help in solving the current problem and will also prevent recurrences. Take ownership. This step may be difficult, especially if you honestly believe you haven’t done anything wrong, but if enough people are telling you there’s a problem with how you lead, communicate or work, you need to take ownership. As I always tell my clients: what you don’t own owns you. This step is a big one in reclaiming your leadership. One of the hallmarks of great leaders is the ability to take feedback as a gift and take ownership of their mishaps, so consider it a time of learning and growth rather than punishment. Ask for help. This step is another one that may be difficult, because too many of us feel asking for help is a sign of weakness. But in fact the opposite is true: when you ask for help, you’re demonstrating that you have strength to find and use every possible resource to reach your goal. Work on a solution. The biggest problems can have the best solutions. Work on solving the issue by addressing it head-on. Make a plan for implementing change and let people know they’ve been heard. The best leaders treat problems as opportunities to do things better the second time around. Hire a coach. Connect with a coach or consultant who can help you navigate your way back to calmer waters. Working with a coach will show your team that you’re taking their feedback seriously, that you’re addressing your weaknesses and committed to doing better. It can also help you understand your leadership style and the disconnect with your team. Lead from within: If your team turns against you, turn back toward them to help improve the situation for everyone. The post What Happens When Your Team Turns On You appeared first on Lolly Daskal. If you’re making the transition to a new leadership role, whether it’s in the same organization or somewhere new, it’s a challenging and important moment in your professional life. Your actions in the first few weeks of a new role can determine the success or failure of your tenure. It’s an unfortunate truth that nearly half of leadership transitions fail. Studies show that anywhere between 27 and 46 percent of executive transitions are regarded as failures after two years. Don’t move too quickly. Leaders who have been successful in a previous leadership role sometimes make the mistake of wanting to change the culture and immediately fix everything that it isn’t working. You may think you need to move quickly to make things happen, but that’s far from what will make you successful. Instead, you must be deliberate and thoughtful about any changes you implement. Fast moves and new initiatives are likely to have a negative impact, which reflects badly on you. To be successful in transition, learn to move slowly. Make sure you’re prepared. A recent study finds that as many as 83 percent of global leaders in a new role say they are unprepared. Leaders often think that what got them there is going to keep them there. But a leader in a new position has to prepare for transition by with the knowledge that they don’t know everything. They have to lead with an inquisitive mind to figure out what skills, learning or development they need, then go out and cultivate them. To be successful in transition, learn to assess. Become an effective collaborator. As you’re developing new initiatives, consider it an opportunity to model a collaborative approach. Don’t hand down edicts but help your team take on sponsorship of the initiative. Lead them in strategizing, optimizing and working on integration with all the aspects of the business. Allow them to be the architects of the plan to make sure everyone can buy into the idea. Together you will go much farther than any leader can go alone. To be successful in transition, learn to share ownership. Build a comprehensive view. Before you take any broad action, make sure you have a good sense of the five basic dimensions of leadership—the strategy and operation of the business or function, the corporate culture, the team, the leader themselves, and other stakeholders that need to be managed—and how they work together in the current context. For transformational change to be successful you need a leader who can fluently switch between the big picture and a more detailed view. To be successful in transition, know when to act. Transitions are a great opportunity to build a foundation for long-term success—both your own and the organization’s—but they need to be carried out slowly and deliberately. Lead from within: The most successful transitional leaders must first go inward before they can be effective leading outwardly. The post How to Successfully Transition to a New Leadership Role appeared first on Lolly Daskal. 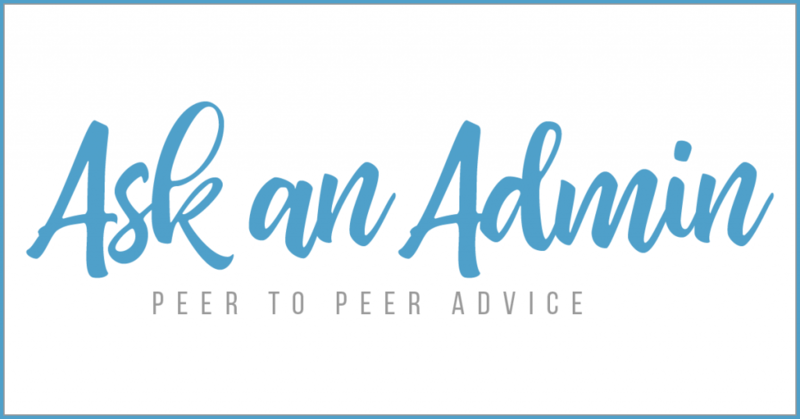 If you are an Administrative Professional looking for your questions to be answered by your peers, then this is the place for you! This is the best blog for advice for administrative assistants and executive assistants provided by Office Dynamics International. As an administrative assistant, how do you get your supervisor to complete his tasks and get things done, especially in a timely manner and meet deadlines? I’ve tried everything from whiteboards of projects to various types of folders with deadlines, to scheduling time in outlook, sending reminders (email, outlook, paper) to standing weekly meetings with him. Things don’t get done nor do they get done in a timely manner. I don’t know what other methods and/or processes to use. Wow! Ok, Renee is wondering how does an administrative assistant manage her manager or executive? Does Renee start with managing deadlines, learning how to schedule properly? Or does this frustrated administrative assistant need to build on her partnership with her executive? How do you help your manager get things done? We have several tools that actually can help with this but we want to see what you have to say! If you have a question that you would like to submit, please send it to officedynamics.aaa@gmail.com and include the name you would like us to use. If you want to subscribe to our blog so you don’t miss any posts, please visit https://officedynamics.com/blog/ and subscribe in the right-hand column. The post How to Help Your Manager Get Things Done – Ask an Admin appeared first on Executive And Administrative Assistant Training - Office Dynamics.